Domovská stránka > Akustika a odhlučnění > Reference > Reference dle materiálu > Obifon > Fontis, spol. s.r.o. Decreased reverberation time in conference room. 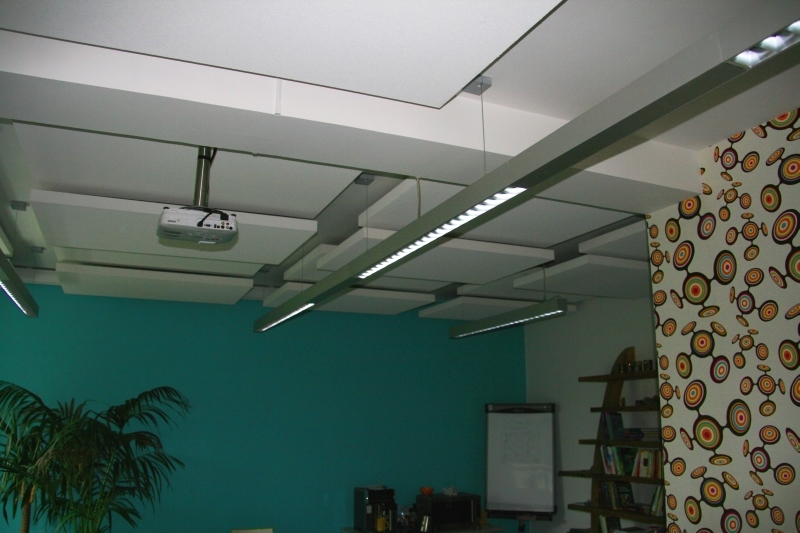 The most suitable solution to decrease the reverberation time in the conference and training room, was using the clouds in white because they do not take any space on the walls thus eliminating any risk of damage. Individual clouds are located in two different height levels for aesthetic reasons but also to maximize the absorption surface. The clouds have been custom-made to fit the dimensions of the ceiling.